On Monday, we talked about the first step in battling anxiety–trusting God’s plan and hearing his truth. The next step I want to propose is surrender. This is a tricky one. As a single woman until the age of 38, I had a love-hate relationship with surrendering my desires to God. I learned that surrender is not a one time action. For me, it was a daily struggle to surrender my plans and trust that God’s plan was better. God’s grace is sufficient in all situations . . .
And we can trust God to meet all our needs . . . Surrender means sharing our desires with God and then leaving the outcome to him. The “leaving” is the difficult part for me. I want to pick it back up and hold it myself, fret about it, and then maybe give it back to him later when I’m sure I can’t fix the problem myself. Anxiety holds on to control. Surrender means recognizing I’m not in control. It’s the daily practice of making our requests known to God and then trusting him to provide for us, just like he says he will do. Filed under Anxiety, Faith, Single Woman Book, Singleness, Truth, Truth Lies and the Single Woman, Who is God? 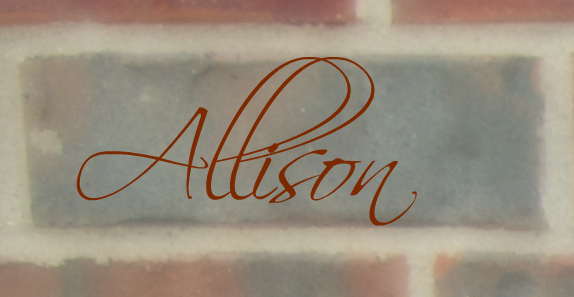 Thank you for this Allison! I have been dealing with anxiety in my own life and God is really calling me out of it and into helping others who battle the same things. I’m so excited to get to know you through Story Circle 🙂 Yay! Thanks for commenting Natalie! I love blog comments 🙂 Very excited about the Story Circle group! !